Raw Moringa powder, Gluten-Free, Chemical free, Vegetarian. Has antioxidant, alkalising, energy boosting properties. Moringa Drumstick Powder or Shigru Powder is a strong immunity boosting and digestive Ayurvedic medicine. Its botanical name is Moringa oleifera. It contains proteins, alakloids, ascorbic acid, beta carotene, beta-sitosterol, folic acid, iron, folate, riboflavin, selenium, vitamins, and zinc. Moringa oleifera may have immunity boosting properties. It may protect liver, kidneys, and stomach from diseases as it may exert antibiotic, antibacterial and antifungal action. 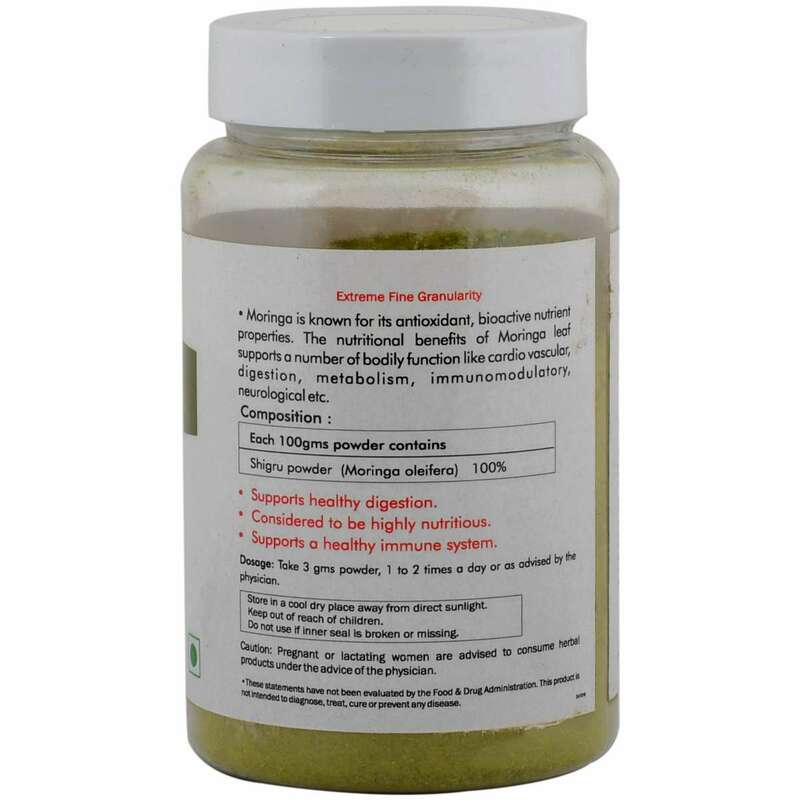 Also, moringa oleifera powder may have a use in reducing liver damage and may help restore liver enzymes to normal. Moreover, this herbal supplement may also have nutritional benefits for proper bodily functions. It is rich in vitamins and calcium and may also promote healthy digestion and protection from digestive disorders. Moringa drumstick powder may be a powerful blood purifier and detoxifier. It may help in weight loss and boosting a healthy cardiac system. 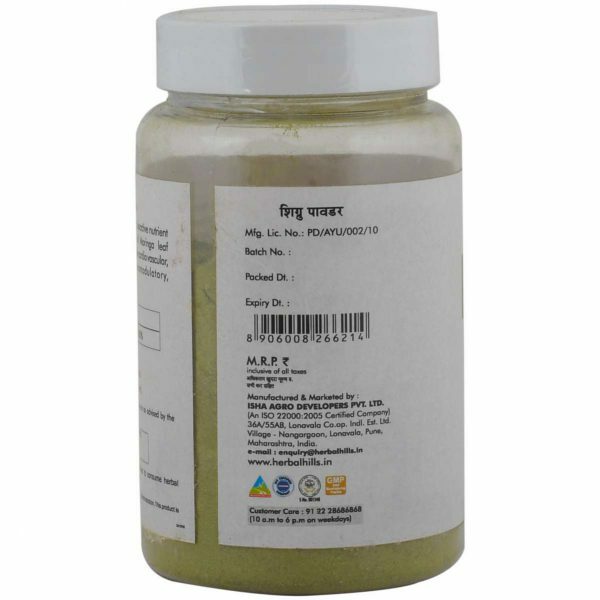 Its uses in bone and joint care are precious. Moringa benefits for hair are due to its rich protein content. It may protect hair tissues and strengthen them. This immunity-boosting and digestive powder may help lower the lipid levels and hence, may be beneficial in heart conditions. Furthermore, it may also be used for skin care, especially for skin infections and sores. 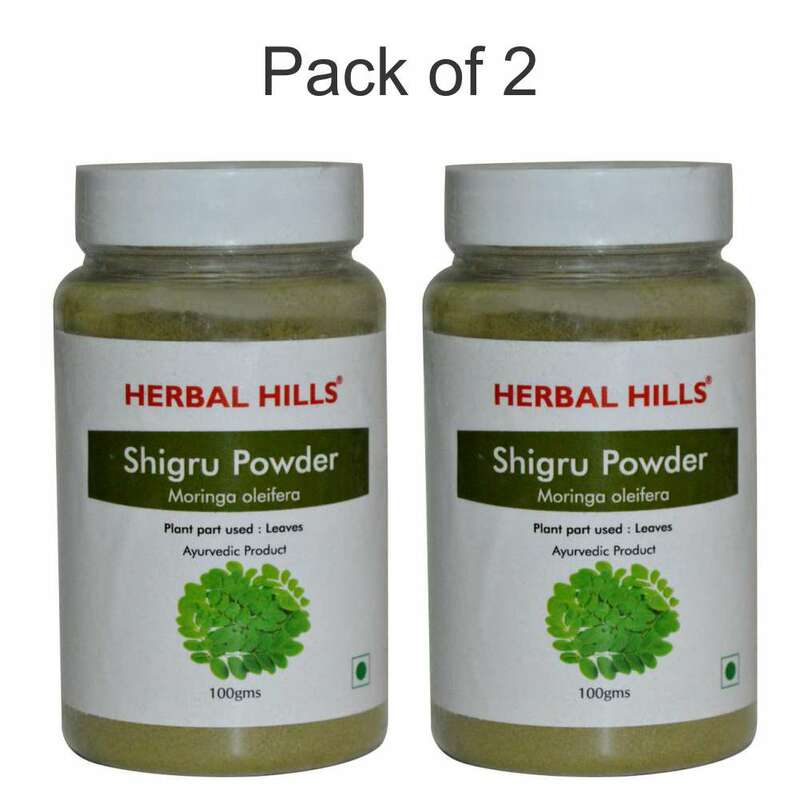 Owing to its antioxidant and neuro-enhancing properties, the shigru powder may help in fighting many nervous system problems. It may also heal wounds. Herbal Hills produces moringa oleifera powder with the help of modern and highly advanced technologies. 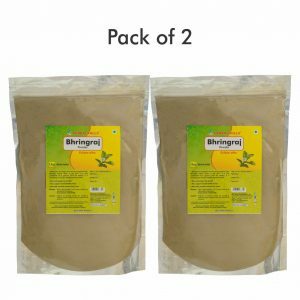 It is one of India’s leading and most trusted herbal brands. A team of experts, with decades of experience in Ayurveda, creates these herbs in the facility which has ISO, GMP and Halal certifications. Please share your experience of moringa benefits for hair, immunity and digestion.